CruelSummerLord writes "I won’t rest until I’ve fulfilled my responsibilities to Laessar, his family, the brothers we lost in the Hateful Wars, and Flinthold, Airk thought. I have much to answer for, and there will be a reckoning for my sins, but no matter how many roads I have to walk before I do, I know that I won’t walk them alone." CruelSummerLord writes "Trendin gasped in horror as his mother and sisters cried out in despair. Airk stared at Laessar’s body while the rest of Luna’s companions glanced at one another, realizing what had happened. Luna felt weak in the knees as she realized her failure, and she would have collapsed if Ma’non’go hadn’t caught her." CruelSummerLord writes "“You worry too much about foolish things,” Kalrek said, the smile returning to his face. “You let them rule you instead of tearing through them and taking what you want. Why do you think I’ve prospered the way I have? What’s your reverence for the likes of Baravan and Segojan ever gotten you? Or are you just letting Garl Glittergold play an especially sick joke on you?”"
CruelSummerLord writes "Luna felt sick at what the companions would have to do, but she knew that the consequences of not doing it would be far, far worse. " CruelSummerLord writes "Kalrek would have the power of the Crown on his brow, the power of the public face of his kingdom in one hand, and the power of the hidden face of his kingdom in the other. That kingdom, Kalrek’s visible and hidden kingdom, would grow like an ever-expanding tunnel. It would bring him new treasures, new glory… …and new victims. He could hear Urdlen laughing again." CruelSummerLord writes "Amyalla whirled around, thinking that the dogs might be responsible, but then she screamed in pain as a blade slashed her viciously across the back. Twisting around, Amyalla tried to stab whatever attacked her, but then she heard cruel laughter that no dog could make. She also heard the cries of her friends in the darkness." CruelSummerLord writes "And please let me punish Kalrek for his crimes. I accept my fate, but please let me make Kalrek suffer his first for all the blood he’s spilled. Those are the boons I ask of you. My failings are mine alone-no one else should suffer for them. " CruelSummerLord writes "An image of Urdlen tearing his victims apart passed through Kalrek’s mind, and he began to laugh out loud at the thought of it. He saw that image a lot. It pleased him to no end." CruelSummerLord writes "Far off to the side, Airk could see other dwarves sorting through the gnomes' dead bodies for valuables. As the dwarves finished with the gnomes' bodies, they tossed the corpses into a large pile, likely intending to leave the bodies to rot for the underground scavengers." CruelSummerLord writes "Airk considered Bretten’s request, frowning. Etterboek was considerably to the north of Hommlet. Bretten and Nusanne were likely planning to take the western branch of the High Road where it forked, and cross the ford over the Imredys Run. From there, they could reach the city of Penwick and continue west to Etterboek. The companions had been planning to continue along the south branch of the High Road. They could travel south from Etterboek to Hommlet once they’d escorted Bretten and Nusanne, but it was a delay. " CruelSummerLord writes "“How long has he been carrying around this grudge against this supposed traitor?” Weimar said, a faraway look appearing in his bleary eyes. “How long has he been dwelling on what happened to his kin? How long has he been blaming himself, even when only a fool would consider him responsible? Gnomes have such long lifespans-how long do they keep such memories with them?”"
CruelSummerLord writes "Normally, Gangrelen feared nothing. However, this gnome seemed so far above Gangrelen, above every other being that lived in the complex complex, that Gangrelen was relieved indeed that the gnome was glad to see him. The gnome’s mannerisms were those of a king, and indeed Gangrelen could imagine him in the company of the human kinds of Nyrond, Furyondy or Keoland. The gnome radiated confidence and certainty, as well as an aura of power and wisdom that almost seemed tangible around him." CruelSummerLord writes "Looking at one another, Airk’s companions nodded reassuringly. Ma’non’go was certain, however, that he wasn’t the only one troubled by the look that was still in Airk’s eyes." CruelSummerLord writes "Ma’non’go’s warning came just in time, and the companions scattered before the beast would have landed in their midst. As the companions readied their weapons, they got a good look at the creature in the lamplight. To Ma’non’go, it resembled one of the black panthers that were said to dwell in the lands of the Touv people that the Olman sometimes dealt with back in Hepmonaland. It was far larger than any panther, however. The creature’s tail was unnaturally long, extending well over its owner’s head and swinging around like a flail." CruelSummerLord writes "That was something Revafour hadn’t expected. “…Why are you asking?” he asked, genuinely puzzled by her request. “Because I want to know,” Seline said. “I want to hear it from your perspective.”"
CruelSummerLord writes "Four of the trolls were the same kinds of monsters the companions had been fighting over a week now, but the fifth one was another matter entirely. The towering monstrosity was an even more disgusting shade of green than his underlings, if it was even possible, and two heads sprouted from his broad shoulders. One of them chattered eagerly in the mishmash language the trolls used to communicate, while the other one was laughing wildly." CruelSummerLord writes "Of the score of trolls who had attacked the village, half of them had fallen to acid or to Luna’s fiery magic. The defenders gathered up the rest of the trolls and stacked them in a large pile. Luna stood before the pile of trolls, chanting another spell. She gestured to the sky and Pelor responded, as the pile of troll corpses burst into flame. The trolls’ makeshift funeral pyre filled the air with a disgusting stink, making many of the defenders want to retch." CruelSummerLord writes "Luna and Revafour frowned as they exchanged glances. Trolls had an amazing ability to heal from most injuries, such as they could not be killed by steel alone. Steel could disable trolls, but the hateful things could only be killed permanently by acid or flame." CruelSummerLord writes "Laessar had given his family and servants strict instructions that he was not to be disturbed when he reviewed his confidence. When he emerged from his study two hours later to eat his supper, he was again projecting his confident, assured manner. He was the only one who knew it was all a lie. " CruelSummerLord writes "The forested area was a common stopping point for travelers between Greyhawk and Dyvers. However, as the adventurers got a fire going and ate their evening meal they felt as if they were the only people in all the world. Shadows crept in around them as the sky filled with a dazzling collection of stars. The stars contrasted with the light of the fire, lending an aura of wonder and mystery to the adventurers’ surroundings." CruelSummerLord writes "Even in just the short time he’d known them, Ma’non’go had seen how the Flan warrior and his gnome and halfling companions had suffered in their own right. Ma’non’go had concluded that they weren’t so different from himself, or Luna and Seline. And then there was Weimar-for all his cheerful demeanor, Ma’non’go doubted that was all there was to it.To his own surprise, Ma’non’go found that the idea of parting ways with any of the other adventurers dismayed him." CruelSummerLord writes "Luna felt a sense of accomplishment in destroying the idol of Orcus, realizing that she had done right by Pelor. However, destroying the idol had done little to relieve her worries about her fellow adventurers, or the sorrow she felt for all the people who these monsters had victimized." CruelSummerLord writes "At that moment, the seven people walking down the passage they had not entered yet all shared the same desire.To make the monsters pay with blood." CruelSummerLord writes "The giants and ogres shivered as the weird sisters began their chant, feeling as if they were being watched. Something wrong, not of this oerth, was coming, some horrible thing that sent chills down their spines. They were utterly helpless before it, and they could feel it looming before them, something that promised infinite menace, attraction and horror all at once." CruelSummerLord writes "Wow, all that remains is to deal with these monsters, whoever they are, he thought. Borrowing Weimar’s spyglass, he focused it to take a good look at the Bearded Lord’s Hollow, and determine the best path to take. It was now fifteen minutes’ march to the hollow, no more." CruelSummerLord writes "The death dogs more than lived up to their name. Over four feet high at the shoulder, with hides coal-black in color, the death dogs each bore two huge heads bristling with sharp-edged fangs. There were almost thirty of the foul things, howling balefully as they charged their prey, and they had the adventurers completely surrounded." CruelSummerLord writes "“So you’ve been wandering since then,” Weimar reflected. “Searching for something?”Revafour frowned at that.“You’re not alone in that,” Weimar said, “not at all. I’ve often wondered about that myself, and if I’ll ever find it…”"
CruelSummerLord writes "You insult my honor with such a question, Ma’non’go’s message read. I am a slave to no man-I protect Luna and Seline because I owe their father a debt for saving my life. And as for why I do not speak with my voice, the reasons are my own and I will not speak of them." CruelSummerLord writes "“Your friends have mentioned a great evil,” the Flan leader replied, as the adventurers kicked up their horses to follow. “If my suspicions are correct, we may need your help just as much as those whose child you seek to rescue.”"
CruelSummerLord writes "“I know all about you, Pieden,” Amyalla accused him, her voice icily calm as Pieden cowered against the wall. “Kidnapping children to sell as slaves, lining your own pockets for their suffering. You’re so brave and strong, intimidating those who can’t fight back. How do you deal with someone who is capable of dealing with you on your own terms?” she demanded, her voice rising angrily as she brandished her dagger." CruelSummerLord writes "The Green Dragon Inn was where many of her old friends tended to congregate. While the Wizard’s Hat was one of the best-kept secrets in Greyhawk’s river quarter, the Green Dragon Inn was one of the river quarter’s most notorious hangouts. The Green Dragon Inn’s clientele was tough and crude, made up of thieves, mercenaries, dockworkers, common tradesmen, and other lower-born folk both honest and dishonest." CruelSummerLord writes "North by north east…In the hills, built stone on stone like cairn…The innocent plead for deliverance…At the giant’s cloven beard…"
CruelSummerLord writes "Pieden knew what the wicked ones wanted. He wasn’t sure who he hated more, the wicked ones for what they were doing to Elian, or himself for not being able to stop them. They were demanding more victims, he knew, and if he did not bring them then Elian would die.So be it, then.He had not survived on the streets of Greyhawk as long as he had through sentimentality, after all." CruelSummerLord writes "Uboldine’s eyes seemed to pierce through Joelmac’s sight, all the way to the back of his mind. His heart began pounding, the blood roared in his ears, and a crippling tension seized his limbs. Ublodine’s gaze ravaged Joelmac’s body, seizing it with pain before it began to shut down.It was the last sight he ever saw." CruelSummerLord writes "An hour later, they were on the road, all seven.The Crown of Arumdina was waiting. " CruelSummerLord writes "Blood streaked down one side of Kalrek’s face, but if he was at all upset by the blow he didn’t show it. His smile grew even wider, as he began to laugh once more. With a murderous light in his eyes, he blocked Airk’s next strike and thrust once more with his sword. Airk moved to block it with his shield, but Kalrek hooked his sword under Airk’s shield and heaved it upwards, throwing Airk off balance and leaving him completely defenseless.Kalrek didn’t waste the opportunity, slashing Airk across the chest and down to his leg. Blood poured down Airk’s chest, a flow that was only worsened when Kalrek followed up with another blow that cut deep into his hip and thigh and caused another well of blood to rise up. " CruelSummerLord writes "“How long has it been, old friend?” he smirked. “Six decades and more?”“Far too long,” Airk replied, “that you continued to draw breath on this oerth.”“And yet, here I am,” Kalrek grinned. “I continue to live and to thrive, seizing the day, building my reputation and my fortune. What of you, then? How has burrowing through haunted ruins, rescuing distressed damsels, and traveling to the four corners of the Flanaess benefited you? Or has it truly done so?”"
CruelSummerLord writes "He would have the Crown on his brow, the power of his subjects in one hand and the power of his minions in the other, his empire, his visible and hidden empire, would grow like an ever-expanding tunnel, always seeking new treasures, new glory……and new victims.He could hear Urdlen laughing. " CruelSummerLord writes "Twisting around, her dagger leading, Amyalla tried to strike back against whatever was attacking them, but all she heard was the twisted laughter of something in the darkness, something more than the doglike creatures that had attacked her.She heard the cries of her companions in the darkness." CruelSummerLord writes "“Have you ever felt such guilt that it threatened to drive you mad?” Airk asked. “The feeling that you have brought shame to your heritage and your people, shame made all the worse by the fact that you couldn’t bring yourself to bring a murderer to justice?"" CruelSummerLord writes "Airk was all but certain that he had died, and when he awakened in a haze of pain, he wondered if he had come to the Seven Heavens or the Tri-Paradises.The scene awaiting him looked more like the Nine Hells. He was securely chained to a line along with several other gnomes, all of whom were marked with grisly half-healed wounds and were covered in dried blood. " CruelSummerLord writes "“Big words coming from men who likely wouldn’t even be able to pleasure that young lady you’re harassing, assuming you were worthy of being with her,” Weimar scowled back. “I’ve always found that the more people such as yourselves boast about your prowess, the smaller your protrusions actually prove to be in practice. Granted, I’m sure you all know that about each other already, considering how little success you’ve likely had with anyone else…”"
CruelSummerLord writes "“…an’ when that turtle bit down on the barrel, it blew up real good,” the sailor grinned to Amyalla, who only smiled back as she took a sip of wine. “See, that’s the secret to dealin’ with most of these sea bastards-the stupid ones run like dogs when they’re burned by flamin’ oil. Even the smart ones don’t think of stayin’ round too long after that, if’n you’re lucky…”"
CruelSummerLord writes "Let them think him a warlord, seeking nothing more than to enrich himself at his victims’ expense.Let them ignore what he was truly searching for, the cherished prize that would be the ultimate triumph, the ultimate irony, and the ultimate insult to his old kinfolk.All for his glory, and the glory of the Crawler Below." CruelSummerLord writes "“That was too easy,” Revafour said, voicing what they were all thinking. “These things were just fodder.”“So now it’s just us and the master, and whatever he’s got waiting for us,” Weimar chimed in. “Somehow, I don’t think he’ll be in a welcoming mood.”“You never know,” Amyalla quipped as they made their way into the cavern. “Perhaps he’ll be pleased that we decided to deliver his next meal.”"
CruelSummerLord writes "It’s almost like music, she thought to herself, choosing the correct instruments and using them in the correct order for a symphony. That’s the thing about magic-it can be so infinitely creative when a wizard sets her mind to it! " GreyhawkGrognard writes "A young spendthrift noble in the Free City of Greyhawk crosses paths with a merchant who is both more and less than he seems. But will the thieves' guild, of all things, set things aright?" Mystic-Scholar writes " Well, I never thought the tale would be so long in the telling! Mrs. Hildegard should be in any moment . . . Ooo! Sausages and biscuits! My, but you are a wonder, Mrs. Hildegard! And will you smell that milk gravy! It'll be good to break our fast while I continue my tale of . . ."
CruelSummerLord writes "It was a common stopping point for travelers between the free cities, but as the adventurers got a fire going and ate their evening meal they felt as if they were the only people in all the world. As shadows crept in around them, the sky filled with a dazzling collection of stars, even as the twin moons Luna and Celene began their evening dance. The moon and stars contrasted with the light of the fire, lending an aura of wonder and mystery to their surroundings." CruelSummerLord writes "They had expected horror when they entered into the large cavern, but what they saw was something out of a madman’s nightmare. The cavern was filled with dozens of corpses, many of them with rotting flesh still hanging from their bones. The flesh and the bones alike of the bodies were riddled with bite marks, as if something had started trying to eat them and then finished halfway through. It was just like the scene they had encountered in the first cavern, and yet it was worse, as many of the bodies were being posed in ghoulish scenes." CruelSummerLord writes "At that moment, the seven people walking down the corridor all shared the same desire. To make the monsters pay with blood. " CruelSummerLord writes "Soon their cries faded, as did the laughter. The fog and steam died away soon after that as well, until all that was left were the lifeless and maimed corpses that were the only things in the cave to begin with. " CruelSummerLord writes "Their ritual completed, the weird sisters fell silent as Dorbella gestured to Bruddelmort, who stood nearby with the rest of his kin. Bruddelmort stepped forward as the weird sisters resumed their ritual, this time with a different spell in mind. They cast the spell on their minion, preparing him for the next phase of their plan. Soon, the ritual ended as Dorbella began casting one final chant of her own, preparing herself for her role in the coming storm. " CruelSummerLord writes "“You four seem to be adventurers, are you not?” the leader of the guards asked calmly. “Yes, we are,” Weimar replied. “Is that a problem? Because if it is, we can be on our way-“ “No, you may in fact be the people our lord is searching for,” the leader of the guards shook his head. “He could use the help of talents such as yours…” "
CruelSummerLord writes "Was he awake or asleep? Joelmac hardly knew anymore, and in any event it didn’t really matter. The wicked ones, the ones who were keeping him imprisoned in his cell, always kept it dark in the cavern. He could hear their mocking laughter, and the screams and cries of his fellow prisoners, whether in his sleeping nightmares or when he was awake in the darkness of the cell. He could also see the wicked ones clearly despite the darkness, and even more so the horrors they had forced him to witness. Again, it hardly mattered whether he was awake or asleep-they were waiting in the darkness." longetalos writes "In this Omnipotent View the forces of Iuz work from inside Grabford to undermine the defense of that city while the horde marches to its walls." ragr writes "Life flies by and when it does, Greyhawk waits for you.Long time in coming, but we return to The Harbour where ropes entwine and tempers fray as surely as worn cord." longetalos writes "In this story, an army of humanoids and agents of Iuz crosses the Veng to assault Grabford. Their advance scouting force is led by the self-proclaimed genius Melbrug the Crusher.Richard Di Ioia - aka Longetalos"
longetalos writes "In this story, Bradus the bard's day goes from good to bad very quickly.by Richard Di Ioia - aka Longetalos"
longetalos writes "In this omnipotent view, a priest returns home to find his temple ruined.by Richard Di Ioia - aka Longetalos"
Mystic-Scholar writes "A Sir Ivon Story It is a feeling I have, nothing more. Unease, if you will. A sense of being . . . hunted!" longetalos writes "In this omnipotent view, the mentat Mann Marzoon is being convinced to intrude on the thoughts of a captured dragon.by Richard Di Ioia aka Longetalos"
Mystic-Scholar writes "A Sir Ivon Story It was exquisite, the perfect weapon for . . . destroying the Undead. " Mystic-Scholar writes "The Living were interfering with my plans." Mystic-Scholar writes "What's this? Sunrise! Goodness me! Have we been talking all night? (Chuckles) You're right, dear girl . . . we'll blame it on the cider! And Mrs. Hildegard's exquisite muffins of course! Hmm? Yes, indeed it is! The same Brother Nortoi! Still there. Did I tell you that I helped him out when I was searching for . . ."
Mystic-Scholar writes "I killed my father." Mystic-Scholar writes "Well, will you look at that, Slinky's finally dozed off! Must be the muffins! Hmm? Trouble? Bah! I was in no trouble! Disappointed are you? Well, have another muffin and mug of cider and you'll feel better. (Laugh) No, I wasn't in any trouble, but it seems that my Master had already learned of my search for . . ."
quae writes "In 584 C.Y., Greyhawk City has opened her arms to a new group of heroes who have saved the lands of Oerth from the wretched Demon Queen of Spiders. But not all within the city walls welcome our heroes with good intentions…"
masterarminas writes "The companions arrive in Barovia to find that evil is not always evil." masterarminas writes "The fellowship is now aware of the nature of the threat. And our story continues . . ."
MasterArminas writes "Continuing the story from Part I, our heroes makes new discoveries and learn what kind of foe they now face." MasterArminas writes "In the northern reaches of the Timberway Forest, an ancient evil is growing stronger. Old friends -- once separated -- must now come together to battle and defeat this malevolent presence . . . once and for all!" Flint writes "A final confrontation awaits Aalas in the Fane of Tiamat, but the awakening of a powerful evil seems inevitable -- whether he wins or loses . . ."
LeahcimTheLearned writes "The Kingdom of Aerdy, once the jewel of Oerth, spanned the continent, then fell into decadence and finally into memory. But as one wise learned man once said; 'Sometimes ashes hide an ember to start a fire anew . . .'"
Flint writes "Aalas -- Son of Agnure of Hommlet -- begins to lead his company away from the Fane of Tiamat, but he quickly realizes that he has little choice but to return to the Fane in an attempt to free his imprisoned step-father." Mystic-Scholar writes "(Yawn) My, but it is getting on. Perhaps I should finish my tale another time? (Snort) Old age indeed! Older than you I might be girly, but I am not that old! . . ."
CruelSummerLord writes "“And now here we are,” Weimar laughed, finishing his last tankard. “It’s fascinating, isn’t it?” “What is?” Revafour asked curiously, finishing his water . . ."
Mystic-Scholar writes "Well, hello there ‘Slinky!’ I wondered where you had gotten off to! Hmm? ‘Missy’ did what? Dear girl, why ever did you put ‘Slinky’ in a cage? . . ."
ragr writes "It's a curious thing about knots. Each of them is different. For some, the knot loosens. For others . . . it tightens. " ragr writes "Sometimes you choose a career. Sometimes the career chooses you. " Mystic-Scholar writes "Ah, a beautiful star filled sky! I’m glad the clouds have gone. And will you look at the way the moonlight glows upon the snow capped mountains! Hmm? Digressing? What do you mean ‘digressing’? Child, you were the one that needed to go the privy! As for the story, well, it seemed that a part of Wolfsire’s past was catching up to us and we would soon be embroiled in more than just a search for . . ."
Mystic-Scholar writes "Oh dear! Would you look at that! The fire is dying down again, just throw another log on, would you? Mmmm, at least the cider is still warm. Would you care for another mug? And I think I’ll have another one of Mrs. Hildegard’s exquisite muffins! They are simply delicious! What? Oh, dear, I must apologize. I allowed myself to get distracted again, didn’t I? Hmm? Oh, no, we had only just begun ‘the chase’ for . . ."
Mystic-Scholar writes "Yes, just put another log on the fire; that’s fine. It really is nice of you to visit with me of an evening like this; a break from study and research and all that. You are a sweet girl and a fine apprentice too, I must say. Did you enjoy your muffin? Excellent, aren’t they? And the cider! Hmm? What? The story? You mean I didn’t finish it? Well, now that you mention it, I suppose I didn’t at that! Ha, ha! The mind, it’s the first thing to go you know! No, no, no, catching the half-orc did not end the search for . . ."
Mystic-Scholar writes "Ah, nice warm cider, on a cool Sunsebb evening in front of the fireplace, nothing quite like it! And these muffins! Have you ever tasted their like? I really must get the recipe from Mrs. Hildegard. Huh? What? Oh, I am sorry . . . the story! Of course, how obtuse of me. In my defense I really must blame Mrs. Hildegard’s excellent muffins for my lapse. Now, where was I? Oh, yes! I was talking about . . ."
Mystic-Scholar writes "You want a story? A thrilling tale of yester-year? Something relating to my youth, you say? Ah, yes, I see, you want to know how it all began! Well, I could entertain you with tales of my childhood, growing up on my father’s farm in the Yeomanry. Or perhaps regale you with my first adventurous journey to Greyhawk, after having gained my apprenticeship with my Master. But neither story is how my adventuring career really began. Well, it all started with . . ."
Mystic-Scholar writes "Long before Queen Ehlissa created her Marvelous Nightingale, long before the Wizard-Priest Tzunk used the Codex to attempt the conquest of the Brass City, long before Kyuss performed unholy experiments in the mortuary city of Unaagh in the kingdom of Sulm, there was another legend whispered among the Flan . . . Caerdiralor . . ."
Mystic-Scholar writes "Long before the Twin Cataclysms there were whispered stories of lost empires of the Ur-Flan; the Occluded Empire of Vecna, the Isles of Woe in the Nyr Dyv, Veralos near the Rift Canyon, Tostehnca in the Griff Mountains and Sulm in the Bright Desert. But long before any of these, there was another. So long ago that even the resilient gnomes of the Headlands, the enduring dwarves of the Iron Hills, the long lived elves of the Rieuwood and the ancient treants of the Menowood are hard pressed to remember. But it is whispered . . . Caerdiralor . . ."
CruelSummerLord writes "'Is this our curse for making enemies of the Horned Ones? Joy and peace given with one hand, and taken away with the other?' - Belvor IV, King of Furyondy, on Prince Thrommel's return to the kingdom of Furyondy and his rejection at the hands of Jolene of Veluna, after six years of absence." CruelSummerLord writes ""Where do we go? Do we even know? Can we even know? Does it even matter?"" gvdammerung writes ""Pastiche." Wash your mouth out with soap! You said a dirty word! Don't you know that the World of Greyhawk includes only unique, totally new, never before encountered, inspired from no preexisting anything, fantasy? Indeed, that anything less is hack work? So say many. And thereby demonstrate their . . . personal preferences! That is it precisely - personal preference - and not one wit more. For pastiche is, has been and remains a vital part of the World of Greyhawk. The real issue is not whether pastiche is a good thing or a bad thing - that's just personal preference - but how well it is done. " wolfsire writes "A bungle of poorly posed puns, allusions and alliterations, to humorously (hopefully) help halloo the Olman Revival in the Amedio Jungle. Viva la Fronds!" CruelSummerLord writes "I am all that is. I am all that ever was. I am all that there will ever be. This world is mine to do with as I will. I am the master, you are my puppets. That is the way of the world, as Panzuriel decreed." kirt writes "The party’s quest to save Prince Thrommel takes them into the prisons of Dorakaa itself, There, they confront priests of Iuz, shadow magic, undead, demons, orcs, a giant, a bulette, and magical wards in a high-powered dungeon crawl. This is Part VII of the The Abduction of Thrommel. WARNING: This episode contains SPOILERS from WGR6 The City of Skulls (1), and dungeon masters planning to run this adventure may find this episode particularly useful as an example of play." kirt writes "The band of heroes that was summoned by King Belvor now travel across the plains of Iuz on the trail of Prince Thrommel. Using a map of the sewers, they enter the feared city of Dorakaa itself. This edition is part VI of The Abduction of Thrommel. WARNING: This episode contains SPOILERS from WGR6 The City of Skulls (1)." Argon writes "What is truth? There are many things we know as being true, but what if I told you that truths exist that many are not aware of. Yes, these truths are as old as the cosmos itself, manifesting before the shaping of planets, before existence." kirt writes "In this episode, Carnail and Kris travel to Chendyl, where they meet the other heroes who will be undertaking the mission to Dorakaa in search of the missing prince. They are briefed by King Belvor and his wizard Karzalin, and begin their journey to Iuz." kirt writes "While Dame Kristiana trains, Carnail has ten days free before she will appear before King Belvor. She decides to spend her time visiting the Electors of Perrenland." cwslyclgh writes "This is the prologue for a Greyhawk book I started writing when I was in high school, oh so long ago... maybe someday I will put more of the story onto Canonfire! But for now, this much will have to do. The prologue takes place about 20 years before the Twin Cataclysms, and the rest of the story was split up between the present day and various time periods in the past. I hope you enjoy this bit of writing. Comments, critiques, etc. are welcome as always." Kirt writes "At Tenser’s suggestion, Kris will be traveling to Chendyl to join a group of heroes being assembled for a daring raid on Dorakaa. Perhaps there they will find the missing Prince. But first, Kristianna has a few days to prepare, time she will use to be trained as a druid by an old friend from a former life." DangerDwarf writes "Krost continues his journal, detailing hs entrance to the monkly order, the Brothers of Tedium." DangerDwarf writes "A journal entry of the self-styled "Malcontent" and his origins in the grand city of Niole Dra." Kirt writes "The PC’s were standing next to Prince Thrommel when he was kidnapped and have been implicated in his disappearance. In Part III, they try to get him back. This post describes how, with a commune, limited wish, and Carnail’s mirror of mental prowess, they almost recovered the Prince, only to have him snatched away again. But was it really the Prince? (Read on...). They also meet with the Archmage Tenser to discuss the situation. Part IV will briefly detail Kris’ druid training, and then Part V continues with their summons by King Belvor, and his desperate plan to recover his son. Footnotes explain the non-canon parts of my campaign and detail background knowledge on PC’s and NPC’s." kirt writes "My Greyhawk campaign started in 560 CY and we are now at the end of 573 CY. Not only did the PC’s experience the abduction of Prince Thrommel as a “campaign event”, they were standing next to him when it happened! Given that Thrommel’s abduction still generates interest among Greyhawkers, I thought some of you might like to read how it all played out in my campaign. This Part II describes the actual abduction itself. Part III will detail the attempts of the PC’s to locate the captured Prince through magical means." kirt writes "My Greyhawk campaign started in 560 CY and we are now at the end of 573 CY. Not only did the PC’s experience the abduction of Prince Thrommel as a “campaign event”, they were standing next to him when it happened! Given that Thrommel’s abduction still generates interest among Greyhawkers, I thought some of you might like to read how it all played out in my campaign. This Part I sets up the political situation just prior to the abduction. Part II (the Circus) describes the actual abduction itself. Subsequent parts will describe how the PC’s are attempting to figure just what happened. Footnotes explain the non-canon parts of my campaign and detail background knowledge on PC’s and NPC’s. Warning: This post contains a SPOILER to some of the events in “The Jingling Mordo Circus”, a module from Dungeon Magazine Issue #7." fallon writes "The conclusion of Fallon's encounter with a member of the Scarlet Brotherhood." fallon writes "Join in the fourth installment of the continuing saga of Fallon and his encounters with Scarlet Brotherhood." fallon writes "The third part of the story of Fallon and his encounter with a member of the Scarlet Brotherhood"
Braggi writes "Fresh from the celebrations of Needfest, share a fun song and dance inspired by a bit of paint, some little metallic people, and quite probably a fair bit of eggnog.The Killer Kobolds loved it, they haven't quit singing it yet!" fallon writes "Fallon returns with the second installment of his exciting tale of good, evil and the Scarlet Brotherhood." fallon writes "In the mysterious world of the Flanaess, sometimes even evil can be changed for the good. Join Fallon the Sage as he relates a story of an encounter he had several years ago with a Monk of the Scarlet Brotherhood..."
Mario_Greymist writes "What happens when good men do nothing? Some might say the Greyhawk Wars was the result of such: Evil expanded unchecked by the forces of Good until it was almost too late. In the Duchy of Urnst, unmarred by the recent horror that had swept most of the Flanaess, Duke Karll Lorinar-the Ranger Duke of Urnst-has seen the fruits of his own benign neglect and has vowed that past mistakes will be rectified?" Mario_Greymist writes "What happens when good men do nothing? Some might say the Greyhawk Wars was the result of such: Evil expanded unchecked by the forces of Good until it was almost too late. In the Duchy of Urnst, unmarred by the recent horror that had swept most of the Flanaess, Duke Karll Lorinar-the Ranger Duke of Urnst-has seen the fruits of his own benign neglect and has vowed that past mistakes will be rectified… The latest installment of the ongoing saga!" Mario_Greymist writes "What happens when good men do nothing? Some might say the Greyhawk Wars was the result of such: Evil expanded unchecked by the forces of Good until it was almost too late. In the Duchy of Urnst, unmarred by the recent horror that had swept most of the Flanaess, Duke Karll Lorinar-the Ranger Duke of Urnst-has seen the fruits of his own benign neglect and has vowed that past mistakes will be rectified…"
Mario_Greymist writes "What happens when good men do nothing? Some might say the Greyhawk Wars was the result of such: evil expanded unchecked by the forces of Good until it was almost too late. In the Duchy of Urnst, unmarred by the recent horror that had swept most of the Flanaess, Duke Karll Lorinar--the Ranger Duke of Urnst--has seen the fruits of his own benign neglect and has vowed that past mistakes will be rectified..."
Mario_Greymist writes "The Duke's Admiral Chapters 1-4 What happens when good men do nothing? Some might say the Greyhawk Wars was the result of such: Evil expanded unchecked by the forces of Good until it was almost too late. 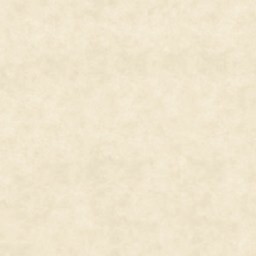 In the Duchy of Urnst, unmarred by the recent horror that had swept most of the Flanaess, Duke Karll Lorinar-the Ranger Duke of Urnst-has seen the fruits of his own benign neglect and has vowed that past mistakes will be rectified…"
MichaelSandar writes "Sit back and enjoy a rousing tale of the Soaring Three, a band of adventures in the Keoish town of Cryllor. Author: Michael Sandar"
Damren writes "This is a story write-up of an one shot adventure I ran sometime ago that may or may-not be suitable here. Some who have read it thought it to be entertaining. I leave it to you to decide. Author: Damren"
reswald writes "This is the fictionized account of a mini-module adventure run at the Weekend in the Yeomanry (21-23 June 2002) to resolve the "Marry a Farmer's Daughter Contest" which has been in progress since 1 Jan 2002. It describes the aftermath of The Landstraad or Land Terror, the qreat earthquake that has devasted a large area of The Yeomanry. Author: Reswald"
Man-of-the-Cranes writes "The saga of the ill-fated Paladin of Heironeous continues as Governor-Knight Michael Torgrim fulfils duties to his new Lord-Mayor. Author: Man-of-the-Cranes"
CruelSummerLord writes "A tale of how the Companions of the Silver Wolf united in their first adventure, before they became a great company sung in the history of the Flanaess... Author: CruelSummerLord"
Longetalos writes "Where a man learns that a god always grants a second chance to those that served him faithfully - whether they want it or not. Author:Richard Di Ioia"
Man-of-the-Cranes writes "Following the sinister disappearance of his old comrades, Michael Torgrim, Paladin of Heironeous and Hero of Greyhawk City travels to the Great Library seeking help. This is the fourth chapter in the ongoing tale of one paladin's fall from grace and is dedicated to the player of the paladin: Matthew Gillies. Author: Man-of-the-Cranes"
Man-of-the-Cranes writes "Part three of the series, advancing the tale of the hero Michael Torgrim and his ill-fated quest. Author: Man-of-the-Cranes"
Longetalos writes "A morning in the life of a monk of Zilchus. Author: Richard Di Ioia"
Longetalos writes "Surviving the surviving of the Great Crusade. Author: Richard Di Ioia"
Longetalos writes "Behold, the wrath of Baklun made real. Revenge is a dish best served hot (no matter what those Klingons say...) Author:Richard Di Ioia"
Tracy writes "Great tales of the Flanaess await your perusal! Authors include Russell Bird, Richard Di Ioia, Peter McLeod, Gary Welsh, and Jason Zavoda. Reviewer: Tracy"
Longetalos writes "A series of lectures given by Wizard Ceinedus, a teacher of Thaumaturgy at the College of Wizardry in Greyhawk City... Author:Richard Di Ioia"
Longetalos writes "What dwarves build, they build to last... Author:Richard Di Ioia"
Longetalos writes "In which the King of Furyondy repays old debts to allies and detractors both... Author:Richard Di Ioia"
Longetalos writes "Not a story of common priests, this tale demonstrates the miracles performed by the monks of Pelor. Author: Richard Di Ioia"
Man-of-the-Cranes writes "Part two of the series, relating events in the life of the hero Michael Torgrim, as he approaches his grim fate. Author: Man-of-the-Cranes"
Man-of-the-Cranes writes "Part one of a series on the uncovered memories of a former holy warrior whose fate became entwined with the infamous Temple of Elemental Evil. Author: Man-of-the-Cranes"
Longetalos writes "Little is known of the time before the Twin Cataclysms brought down the mighty empires of the Suloise and Baklunish peoples west of the Flanaess, and those fragments of lore that have survived the centuries often speak of the dark and terrible secrets employed during the bitter war that brought about the end of that era. Read on, and learn of one of these ancient secrets, the Suloise Mage-killers, an elite breed of assassins trained only to kill the wizards of their enemy nation. Author: Longetalos"
Longetalos writes "A tale from the Lands of Ferrond...one man's account of his struggle against the forces of the Old One. Author: Longetalos"
Longetalos writes "The grip of the Aerdi on the north was shattered in 569CY when humanoids overran the lands of the Bone March and it's Marquis, Clement, disappeared. The hardy Oerids who had settled in that land and the remnants of the Fruztii who originally dwelt there were beset by monstrous hordes of rampaging orcs, and many fell to these savage hordes. A few held out...and sometimes...they wished they hadn't for their "saviours" turned out to be more barbaric than the humanoids... Author: Longetalos"
Longetalos writes "On the night of the Blood Moon Festival, the streets of Molag ran with blood as Iuz slaughtered the Hierarchs of the Horned Society and assumed control of that blasted land. But he did not get them all. One, Nezmajen, managed to escape the wrath of the Old One, and plotted his revenge and the retaking of his capitol... Author: Longetalos"
Man-of-the-Cranes writes "What remains of the party that descended into the depths of Hell-on-Oerth faces down the foul form of the Lord of Pain in an epic battle, one worthy of being sung by bards for ages, one with a bit of prodding from a mysterious figure from the east. And, yet, things do not quite turn out as expected... Author: Man-of-the-Cranes"
Man-of-the-Cranes writes "Beneath the depths of the Oerth, a band of heroes and villans makes it's way into the heart of the Old One's stronghold, intent on destroying his power forever. Along the way, death, desertion, and betrayl beset the band, until, in the end, Iuz himself is met. Author: Man-of-the-Cranes"
Longetalos writes "In the distant past, the Oeridians burst into the Flanaess and swept all before them, without exception. Flan, Suel, humanoid, and demihuman all suffered as the Oerids expanded, bringing more and more of hte Flanaess under their sway. In the end, the Oerids established great kingdoms and empires, in the names of their gods and their greatness. But before that happened, some managed to make peace with the Oerid hordes, allying themselves with the powerful conquerors against common foes, like the much-reviled Suel. Author: Longetalos"
Longetalos writes "Nestled within the rugged foothills of the Lortmils, only isolated villages and freeholds make up the southern border of the peaceful land of Veluna. That peace is shattered when a band of humanoids and giants seek to raid one of the isolated villages, with only an aged priest and a handful of ill-equipped villagers to stop them. Author: Longetalos"
Longetalos writes "A series of short notes are sent between an agent of the King of Nyrond, sent to infultrate a rag-tag group of petty theives, and his commander. But things are rarely what they seem to be, as the agent finds out... Author: Longetalos"
WavesCrest writes "A caravan departs from the city of Trigol, bearing food for the city of Mowbrenn. Along the trip, rebels and bandits are encountered, although starvation and desperation seem to be the least of the problems to be found within Mowbrenn's walls as Palish priests and a blood cult stir up trouble in the city. Author: WavesCrest"
Longetalos writes "A priest of the Old One returns from the lands of Furyondy to the "heartland" of Iuz's Empire for a meeting with his lord and god. But before he meets his god, he had better learn how the political landscape has changed since he was last in the hellish city of Dorakaa. Author: Longetalos"
Man-of-the-Cranes writes "Iuz The Evil, Part 1 A Tale Of Dauntless Heroism And Catastrophic Tragedy Author: Man-of-the-Cranes"
Longetalos writes "One of the lucky few who made good on his escape from the hellish lands of Iuz speaks, telling of the town of Law's Forge. Founded in nobility, the town now suffers the blight of Iuz's priests within it's walls, forcing the master caftsmen to work for the Old One's foul armies. From this survivor's words, much can be learned about the town's current state of affairs. Author: Longetalos"
Longetalos writes "When the forces of the Old One martyred the Knights of the Holy Shielding, one of their prizes was the town of Law's Forge, which had been long noted for it's weaponsmiths. The mark of Law's Forge was something hightly desired in a weapon. Now, it is even more prized, as the forges lay cold with the Old One's conquest of the land and it's master smiths slain or fled...or so most would assume. Author: Longetalos"
Longetalos writes "A haven for the warriors of the Flanaess, the Citadel of Steel accepts all who live and die by the sword. The Guild of Crex Tulkus governs the mammoth fortification, making it a center for training in the militant arts. Something is amiss, however...something happening within the hidden halls of the leadership of the Guild. Author: Longetalos"
Longetalos writes "From the fastness of his hidden demiplane, the lich-lord Ariakin plots the downfall of his enemies. Espically the elves, who stand between him and the fifth seal, needed by the lich-lord for the completion of his foul plots. Author: Longetalos"
Longetalos writes "The Crook of Rao played an important role in the post-Wars history of the Flanaess by robbing Iuz of his elite shock troops. In this glimpse behind the scenes, we see how the Old One nearly prevented this from happening, almost keeping the Crook from being delivered to Canon Hazen. Author: Longetalos"
Maelstrom writes "UnderOerth fiction Author: Maelstrom"
VelunaDave writes "Old but unbowed, Brother Darius has a tale to tell. In the Great Library of Rao, three heroes attend to his wisdom. Author: VelunaDave"